To mark this year’s World Malaria Day, Nigeria has renewed its commitment to push malaria up the national priority list, with a plan to secure $300 million (108 billion )in new financing from the World Bank, Islamic Development Bank and African Development Bank to help finance its national malaria strategy. The news came at the background of the Commonwealth Health Ministers’ launch of the Commonwealth Nations Initiative at the Malaria Summit London 2018, to curb malaria by half by 2023. The summit demands for new tools to stay ahead of the disease, announcing commitments to invest in future innovations. Nigeria also pledged an additional $18.7 million to leverage $37 million from the Global Fund to distribute of 15 million mosquito nets. Similarly, the UK government has pledged £50 million (N25,757,154,000.00) to malaria programme in Nigeria even as it pledged £9.2 million to fund new research on development of new triple Artemisinin Combination Treatments. 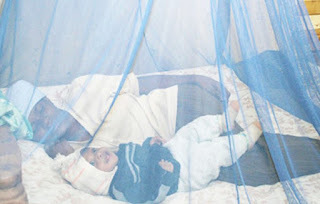 The World Health Organisation (WHO) said these efforts by nations, if achieved would prevent 350 million malaria cases and save 650,000 lives predominately children and pregnant women who are most at risk annually. Also, the Bill & Melinda Gates Foundation says it will extend its investments in malaria with additional $1 billion through to 2023 by fund R&D efforts and reduce the burden of the disease towards ending malaria for good. In addition, the African Leaders Malaria Alliance, (ALMA) in line with the African Union’s Catalytic Framework to end AIDS, TB and Eliminate Malaria by 2030, committed to supporting member countries to introduce and strengthen the use of national and sub-national malaria scorecards and action trackers. This will be coupled with robust community engagement; to support increased domestic funding from both the public and private sector; and to continue its work with Heads of State and Government in Africa to monitor progress towards this goal. The group also plans to support effort to drive progress towards achieving the new Commonwealth target, mobilise new resources and continue to build global momentum through the Malaria Must Die campaign. Statistics show that Nigeria has the largest funding gap in malaria elimination in Africa. Nigeria faces a financial gap of N504 billion ($1.4 billion) to implement its national malaria strategy by 2020, according to the 2017 World Malaria Report, a publication by the WHO. In addition to constituting 27 per cent of malaria cases worldwide, out of 30 African countries analysed in the report, Nigeria alone accounts for 53 per cent of the $1.3 billion funding gap for essential commodities that include 76 per cent of the funding gap in Artemisinin Combination Therapy (ACT) and 86 per cent of the funding gap for Rapid Diagnostic Test kits (RDTs). In 2016, the WHO disclosed that for the first time in a decade, the number of malaria cases in the world was on the rise and in some areas there was resurgence. “To accelerate the fight against this disease there needs to be better deployment of existing tools and development of new and innovative solutions,” the world health body says. The commitments focus on three important areas to fight resurgence of the disease. The effective tools (nets, sprays and treatments) in the fight against malaria are under threat from drug and insecticide resistance.